Mridu initiated her journey in Serenity Surrender in 2012 and since then has embraced it as a way of life. It has helped her in finding an enhanced connection with everyone and everything around her just by recognising her connection with self. Now, she is living her life in ever enhancing peace, calm and serenity. According to Mridu, Serenity Surrender (SS) is a revolutionary healing technique that equips people to deal with all aspects of our being, through understanding the connection between their internal and external environment. Serenity Surrender healings are based on a simple yet profound understanding that the external is only a reflection of internal and everyone has an inherent power to resolve the challenges and conflicts which people attract in their lives. Serenity Surrender helps them in reconnecting with this hidden power and living an empowered life in each moment. 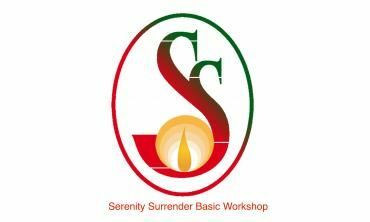 Serenity Surrender The Serenity Surrender (SS) workshop is a 3-day workshop that helps you in learning to: 1. Live an empowered life 2. Connect with the cosmic energy . . .
"My therapeutic sessions with Mridu have helped me attain a great sense of inner peace. Not only has she helped me chart a new path in my life's journey with positivity but has also helped me change my responses to various circumstances in life. 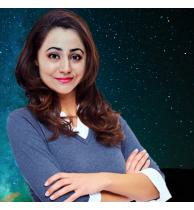 I would always be grateful to Mridu for helping me identify and build on my strengths." "Mridu is a gifted, kind, patient and highly sensitive healer. She has performed healing sessions on me a few times before I attended her workshop. Which was comprehensive and extensive. I truly appreciate her presence in my life! She is able to view things from a wider perspective, attend to your individual concerns with ease and focus. I highly recommend her and cannot describe fully in words how powerful she is with her healing touch, presence and words! "